Functional features and a great fit! Maevn EON women's sporty mesh panel top is ideal for your workwear needs. 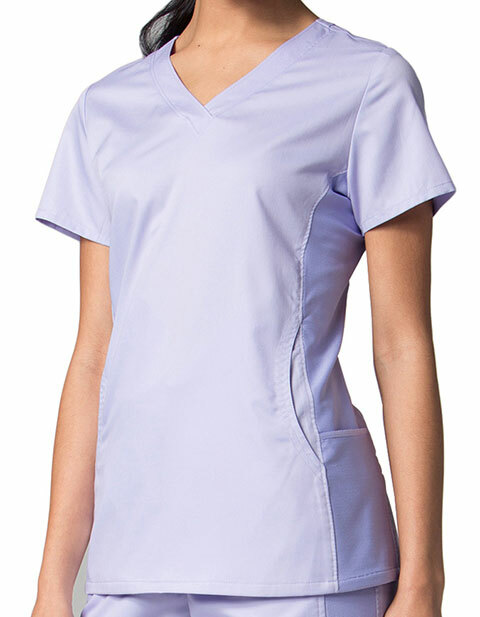 The scrub top features a curved V-neck and mesh side panels for a contemporary look. Featuring two curved front pockets, side pocket with zipper and another side pocket with twill tape; the top is exceptionally functional. Moreover, the curved back yoke with double needle stitching and a back yoke mesh panel with internal piping makes it an epitome of style.